Tithes and Offerings can be placed in the drop box on the Finance Ministry Office door. This is convenient for contributions that were not given during regular services. Please complete the tithing envelope with your member # and indicate the areas that you want your contribution made to. You may also elect to have your tithes and offering contributions made electronically from your checking account to Solomon Temple Missionary Baptist Church. 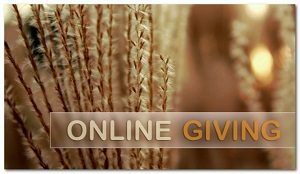 The electronic systematic giving program is known as Automatic Tithing Deduction (ACH Giving). Contributions can be set up to be debited automatically from your checking or savings account on a weekly, bi-weekly or monthly basis. To sign-up for our ACH giving program, please see a member of the Finance Ministry Team or call the church office on 925-439-5905 for additional information. The Finance Ministry can assist you in setting up this type of contribution. To mail in your tithes/offering, send your contribution to Solomon Temple Ministries International – 655 California Avenue. Pittsburg, CA, 94565 *Make your check or money order payable to Solomon Temple Ministries International. Indicate on the memo line of your check that your contribution should be applied as a tithe, offering, minister, vision seed, or special offering. You indicate a breakdown of your contribution by filling in the money amount. Remember to include your member number to receive proper credit for your contribution. Enclose your check in a secure envelope, apply first class postage and drop it in the mail. *Please do not send cash contributions in the mail. If you have any questions regarding mailing in contributions, please contact the Church Administration office on 925-439-5905. It’s now possible to donate directly from your cell phone – it’s easy and secure! 2. Then follow the prompts for a one- time registration and donation. You can also setup reoccurring donations. Just follow the easy prompted from your phone. 3. At the very end of the giving prompt you will receive a successful thank you message. You can specify any amount for giving from your credit or debit card. Note: You will need to use the same card for any subsequent donations or new registration will be required. It takes only a few minutes to give via TXT2GIVE. Questions or assistance can be directed to the Finance Ministry Department. To make your contribution online, click on the Give Online image below. Your contribution will be processed on a secured page. Giving His tithe, and our offering. We know it changes lives—ours and the people we’re reaching. At Solomon Temple, taking action on your generosity is simple.